Just a quick recap about a tweet I sent out the other day. If you saw, I found a huge stash of card packs at my local Goodwill. Ten packs for a buck, in convenient prepackaged groups. 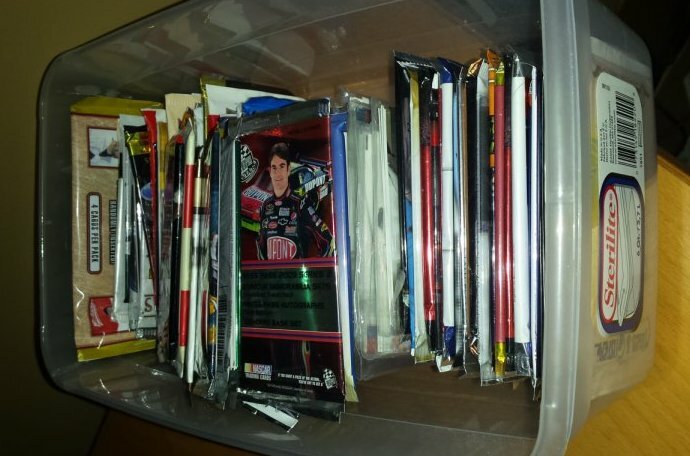 Well, turns out they were packs that were searched. Some scum bag pack searcher pulled out the hits (and I think all the Cubs and Sox cards). The only decent card I found was a black bordered mini from Topps Magic of Peyton Manning. Otherwise, pretty much everything will go into the trade box. But still - at about 3 cents a card, it was a fun rip, and I added to the stash of packs for APTBNL. All those - unposted. Oy! 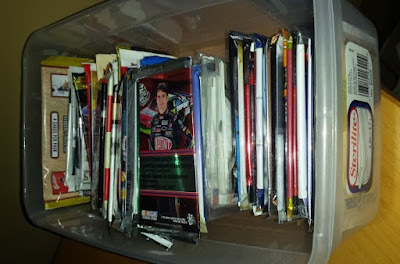 But let's dive into the Hidden Gems binder for some pretty cardboard. 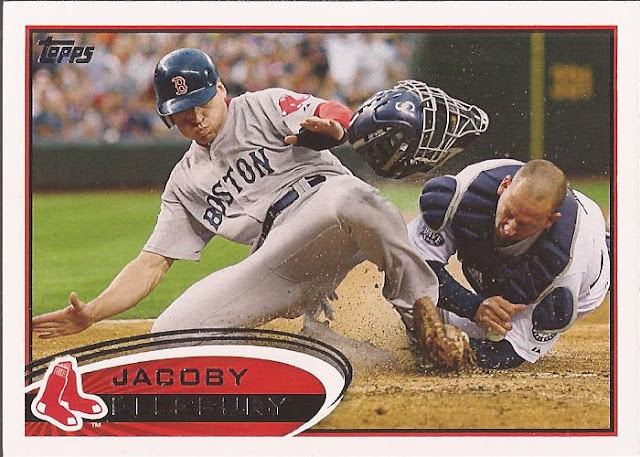 Today, we go a way back to 2012 Topps. I'll admit one thing: this is not entirely perfect. I give it a 98%, but I'll forgive the last 2 percentage points and give it a slot in a 9 pocket page. The only bad thing about this card is the badging. It ruins a bit of a great image. So much happening here. It's an old school play at the plate. Ellsbury is defintely trying to dislodge the ball from Josh Bard's hand. The body position tells us that. And the image captures to moment of impact: dirt flying, Bard's mask in mid air, Josh's right hand knocked from the glove and the ball beginning to trickle from his hand. If I found the right play, this is from the August 13th game in 2011, top of the 4th. Jacoby attempted to get home on a short fly to right, but was called out at the plate. So appearances of a ball falling out of someone's grasp are exaggerated. It can be real easy to call Gotye a one hit wonder. And he probably will, in the long run. It was track 3 that got overplayed and over covered in 2011, but this track comes on his Making Mirrors album just before "Somebody That I Used To Know". It's poppy and upbeat, nothing like the song that made Gotye an international star. And it's almost half the length of that other song. If you spend a little time listening to the songs he's released, Gotye is all over the place. A bit Peter Gabriel-ish. Ugh, I hate pack searchers. They take the fun out of it for everyone. Well, I guess I'm glad that I didn't make the drive for those packs, though I was certainly tempted. So it goes. The thought of pack searching just cracks me up more than makes me mad. It takes a special type of individual to do that in front of everyone.